Sapporo is the fifth largest city in Japan and capital of the northern island of Hokkaido. In less than two centuries, Sapporo has enjoyed rapid growth from a settlement of only seven individuals to a thriving metropolis. In the language of the Ainu people, indigenous inhabitants of northern Japan, the word Sapporo means “an important river flowing through a plain.” Today, however, Sapporo is known for much more than its river. In 1972, this city hosted the Olympic Winter Games. A snow festival is held yearly, and Sapporo is also famous for its ramen and beer. Travel to Sapporo by train is fully covered by the Japan Rail Pass. This is an affordable option with the added bonus of views of much of the Japanese countryside. From Tokyo Station, take the JR Tohoku / Hokkaido Shinkansen to Shin-Hakodate Station. This is the halfway mark of the nearly eight-hour journey. You may want to consider a stopover in nearby Hokuto, as there are a number of temples, shrines, and other places of interest in the area, including a mountainous campground. From Shin-Hakodate Station, you will take the Hokuto limited express or Super Hokuto trains to Sapporo Station. Both are covered by the Japan Rail Pass. Flights are also available from Tokyo’s Haneda and Narita airports to the Shin-Chitose Airport in Sapporo. Flight time is around 90 minutes. If you decide to take a flight, we suggest you first check the flight discounts available for tourists! The journey by train from Kyoto to Sapporo takes around 11 hours. From Kyoto Station, take the Tokaido Shinkansen to Tokyo Station. Then, proceed from Tokyo Station as described above. This is a great use of your JR Pass, as a one-week pass costs several thousand yen less than would the individual train fares. From Osaka, to begin your journey, take the Hikari train from Shin-Osaka Station to Tokyo Station. Then, proceed to Sapporo from Tokyo as described above. Alternatively, you may prefer the two-hour flight between Osaka and Sapporo. The Kobe, Kansai, and Itami airports all operate flights to Sapporo’s Shin-Chitose Airport. Sapporo is unique in its rectangular street system, based on the North American style. It is among the simplest of Japanese cities for tourists to navigate, using its block system of compass directions and numbers. This system will aid you in getting to where you wish to go using Sapporo’s efficient public transportation methods. Your JR Pass is valid on the JR Buses in Hokkaido. Three local subway lines and a tram line are also available. The three lines all connect with JR Sapporo Station. As soon as you step off of your train, you will be greeted by all that Sapporo has to offer. The station itself hosts the T38 Observation Deck, and is surrounded by shopping centers and unique restaurants, such as the Sapporo Ramen Republic. Sapporo is known for its snow and winter sports, and if traveling there in February, you are in for a special treat. The week-long Sapporo Yuki Matsuri, or Sapporo Snow Festival, features snow and ice sculptures and attracts more than two million visitors annually. This event arose from small beginnings in 1950, when high school students built snow statues in Odori Park. The 2019 festival is scheduled for January 31 to February 11. Odori is not the only park worth a visit in Sapporo. 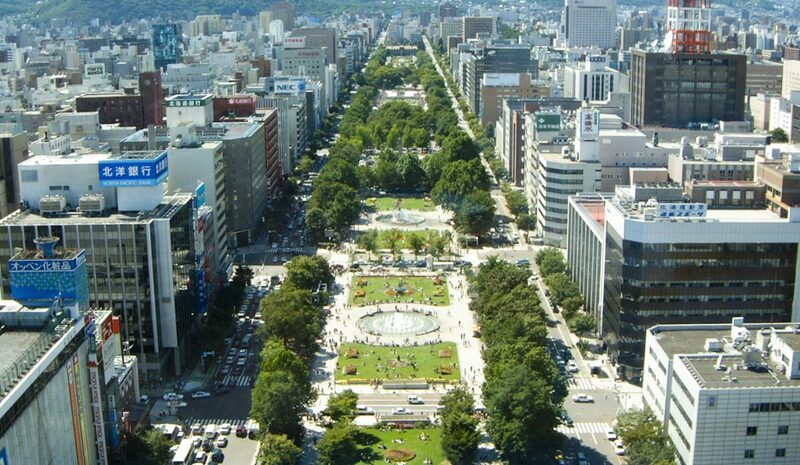 In the center of Sapporo, you will find the Botanic Garden, which preserves part of the area’s original forest. Moerenuma Park on the city’s outskirts is a former landfill transformed by Japanese American sculptor Isamu Noguchi. Features of the park include two manmade mountains, a glass pyramid, and fountain shows. History buffs will enjoy the Historic Village of Hokkaido, an open-air museum, as well as the Hokkaido Museum, which includes displays on the Ainu culture and local wildlife. The Clock Tower, or Tokeidai, was constructed in 1878 as part of a college and now serves as a museum. The clock itself was imported from Boston, Massachusetts, U.S.A. in 1881. When your inner foodie gets hungry, check out the Shirio Koibito Park, a chocolate theme park in which visitors can tour a factory and museum as well as make their own sweet treats. Or, you may consider the Sapporo Beer Museum, celebrating Hokkaido as the “birthplace” of Japanese beer. In addition to a museum, tastings are available. If you would like to make an excursion from the city during your stay in Sapporo, consider the Sapporo Teine Ski Resort, just 40 minutes away from city center. The Olympic torch, as well as two Olympic ski runs, make this a unique place to hit the slopes. No matter your interests, you will find something to thrill you in the city of Sapporo! Hi there, I’m planning to visit japan for a month during mid May. I’m planning to go directly to Hokkaido from tokyo for cherry blossom and tulip festival and stay in hokkaido region for 10 days. After that, I’ll travel from north to south of Japan. Just wondering is it worth to activate my JR pass immediately when I’m travelling in Hokkaido region, would i get much use of it? Would you suggest to activate it once i start travelling from north to south? Thank you! Hello! We are coming in January and wanting to go to a ski resort for a day trip. Which would be the closest and best place from Sapporo Station and how would we get there with the JR Pass? Thank you so much! From Sapporo we recommend you to go to Niseko ski resort. 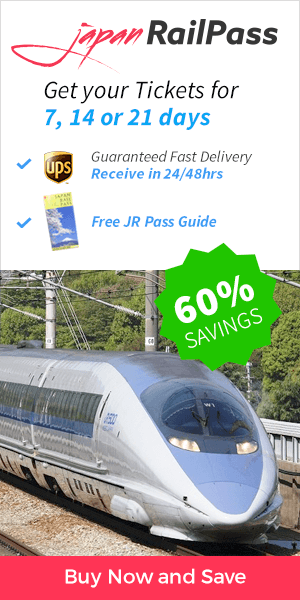 The JR Hakodate line can get you from Sapporo to Niseko in roughly an hour, or if you come from Tokyo, you can take the Tohoku Shinkansen, then the JR Hokuto line, and then connect with the Hakodate line. Quick enough to get you on the slopes and start shredding on a snow packed mountain.